Akumal Webcam link. Take a look! Me on the Akumal webcam! Today several of us are going to the beach at Playa del Carmen. Tomorrow’s the wedding! This is a link that was sent to me by JKS. 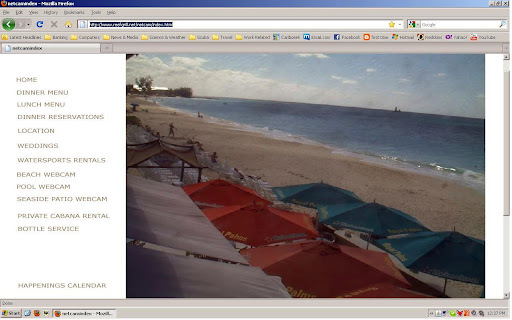 I didn’t know about it till he sent it.It is a link for the Royal Palms Beach Club Webcam. Keep looking, you’ll eventually see me on it! The only thing wrong is the patio webcam link goes to the beach webcam and the beach webcam link goes to the patio webcam.